They say everything’s been done, but we reckon they’re wrong. Because it’s 2016, and surf photography has existed for roughly eighty years, and we’ve just seen a surf shot we’ve never ever seen before. A few weeks before, Fanning, along with local Norwegian photographers Emil Sollie and Mats Grimsæth began to put plans in place for an ambitious shoot the pair of photographers had been considering for years. the aim? 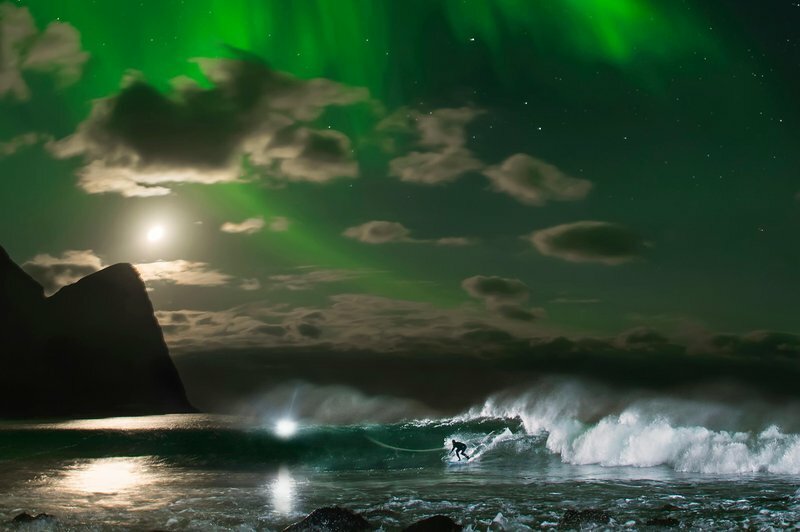 to capture a surf shot, under the northern lights.